You’re trapped in a lab with strange experiments taking place, and you’ll solve increasingly trying puzzles in order to escape. Return of the wurm! The next installment of the epic award-winning dueling tug-of-war is coming! Destroy your opponents with all new moves and weapons across ten different arenas. Unlock the transcendent potential of your music with Harmonix Music VR™. From a wacky dance party, to 3D reactive art, and even a nice relaxing alien beach, Harmonix Music VR is the next evolution of your music library. Welcome to the Football Improvement Centre, which is not a prison. Inside our Heading Facility, you will undergo an intense re­education under the guidance of our world class staff. 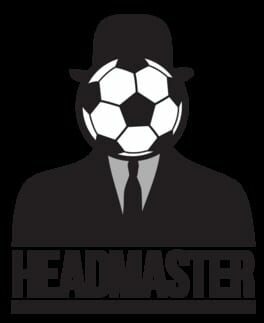 We've constructed an impressive variety of lessons to ensure you are no longer a threat to the reputation of your club, who has so generously sponsored your enrollment. You will find your time spent here to be quite valuable, but do remember... improvement is mandatory. Farpoint is an unnerving VR space adventure set on a hostile alien planet. On a mission to pick up scientists studying an anomaly near Jupiter, a rupture from the anomaly transports the player and scientists to an unknown alien world. Strap yourself in for the most disturbing rollercoaster ride you’ll ever take. 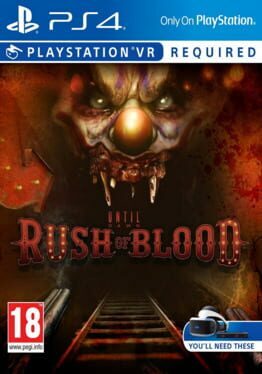 From the warped minds of the team behind PlayStation 4 horror classic Until Dawn, comes Until Dawn: Rush of Blood – a virtual reality experience to strike fear into the hearts of every trigger-happy arcade shooter fan. Go beyond boundaries in Robinson: The Journey, a brand new virtual reality game from Crytek. 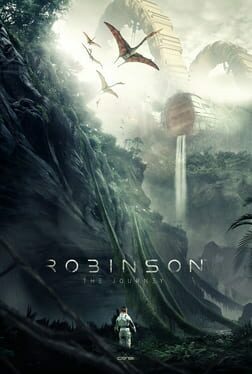 Harnessing the power of CRYENGINE, Robinson: The Journey will offer players an unparalleled sense of presence in a game world as they assume the role of a young boy who has crash-landed on a mysterious planet. With freedom to explore their surroundings in 360 degrees of detail, players will become pioneers by interacting with the rich ecosystem around them and unearthing incredible secrets at every turn. Risk life and limb as you explore a mysterious floating fortress in search of your kidnapped father in Wayward Sky on PlayStation VR. 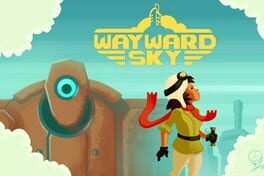 Take on the role of Bess, a young co-pilot who must navigate her way through puzzles and perilous pathways to find her father and escape the crumbling airborne fortress. 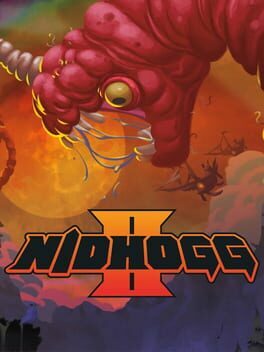 Guide the action with responsive motion controls and explore the unique environment from both third- and first-person perspectives. Specially crafted visuals and camera “blinks” transport you instantly from Bess’s point to view on board the fortress to high above the scene, looking down like a towering giant. 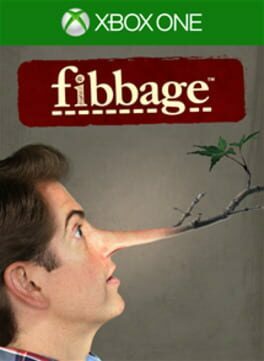 Fibbage is the lying, bluffing, fib-till-you-win trivia party game from the makers of YOU DON’T KNOW JACK! Play with 2-8 players! Danger Zone is an all new 3D vehicular destruction game, a genre we know well. The concept is simple : crash for cash by creating the biggest car crash. 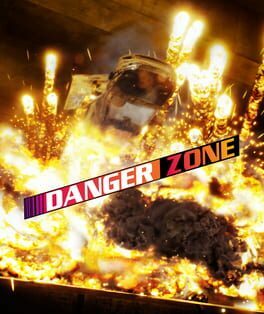 The Danger Zone is a virtual Crash Testing Facility where players step into the shoes of a dangerous driver and are challenged to survive a variety of spectacular crash testing scenarios. It’s easy to crash, but can you also grab all of the Bonus Pickups? Powered by Unreal Engine, Danger Zone combines real physical crashes with explosive gameplay. Shunt vehicles into oncoming traffic, take down trailers to shed their payloads and use your explosive “SmashBreaker” to move your vehicle around. The more explosions you cause, the bigger your score. If you’re feeling burnt out by congestion and jammed roads, take the highway to the Danger Zone. Take your revenge on rush hour traffic. This place is a paradise for those who like their driving flame-grilled. 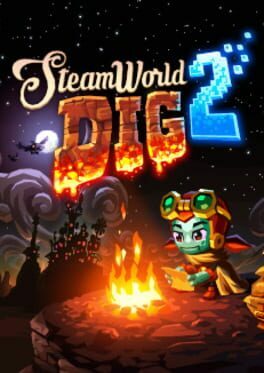 SteamWorld Dig 2 takes you on a platform mining adventure forged in Metroidvania flames. When an old trading town is struck by mysterious earthquakes, it’s up to a lone steambot and her unlikely companion to uncover what trembling terrors lie beneath. Dig your way underground and explore vivid worlds riddled with treasure, secrets and traps. Combat dangerous enemies at every turn of the underworld’s twisted paths, including shadowy creatures and the haunted remains of an ancient electrical threat. Upgrade your gear to forge deeper into the earth and take on bigger challenges. Swing across large chasms with your Hookshot and fly through caves with the Jet Engine! 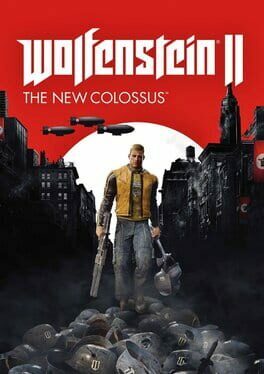 Wolfenstein II: The New Colossus is the highly anticipated sequel to the critically acclaimed, Wolfenstein: The New Order developed by the award-winning studio MachineGames. An exhilarating adventure brought to life by the industry-leading id Tech 6, Wolfenstein II sends players to Nazi-controlled America on a mission to recruit the boldest resistance leaders left. Fight the Nazis in iconic American locations, equip an arsenal of badass guns, and unleash new abilities to blast your way through legions of Nazi soldiers in this definitive first-person shooter. America, 1961. The Nazis maintain their stranglehold on the world. You are BJ Blazkowicz, aka “Terror-Billy,” member of the Resistance, scourge of the Nazi empire, and humanity’s last hope for liberty. Only you have the guts, guns, and gumption to return stateside, kill every Nazi in sight, and spark the second American Revolution. 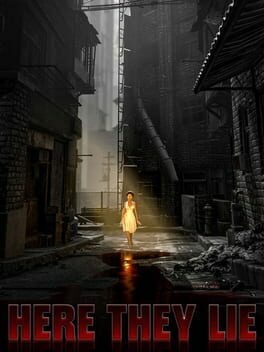 Here They Lie transports you to a terrifying world from which you cannot escape. Explore a nightmarish city inhabited by strange, malevolent creatures in this ground-breaking first-person horror game on PlayStation VR. 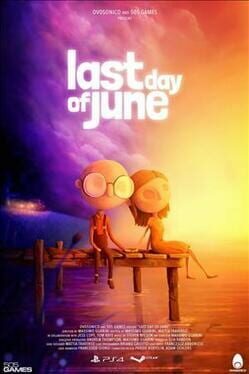 A deep, interactive adventure about love and loss, beautifully depicted and offering an intense cinematic experience. What would you do to save the one you love? O! 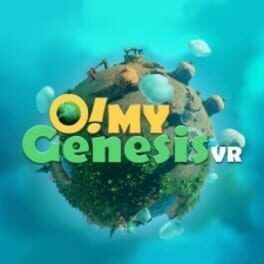 My Genesis is made exclusively for VR experience. You are the Lord of Everything. What's more, as the Creator of the universe, you will face bizarre challenges in hostile environments, and be tested on your wisdom of conquering these challenges, while building civilization. Hob is set on a beautiful and dangerous unknown world, with buzzing life above and the whirrs of mysterious machinery below. The more players delve into the world’s design, the more they uncover a planet in peril. Players must learn to survive, understand their true purpose through acquiring skills, and ultimately transform the nature of the world itself. Hob is presented without text or dialogue. Narrative is revealed as players explore and interact with their mysterious planet, and the strange life forms that inhabit it. 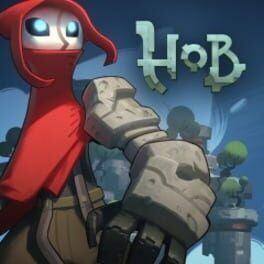 Hob features smooth controller gameplay, multi-layered puzzles, and striking visuals. 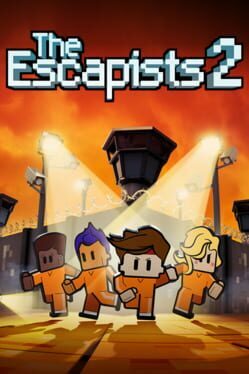 The Escapists 2 is the forthcoming sequel to the multi-million selling, award-winning sandbox prison-escape game which will include, in a first for the series, drop in/drop out play for up to four players in both local and online play. Escaping won't be easy though. You'll have to work around the strict prison schedule and avoid the unwanted attention of guards. Craft weapons and tools found (or stolen) from within the prison, but beware of cell shakedowns. Get a job or perform “favours" for your fellow inmates to purchase vital supplies, all while scouting escape routes. Combining the beauty of space combat and RPG elements, Dead Star excites with online multiplayer space shooting action. Earn loot and levels as you fight in procedurally generated battlefields to further customize your experience – including a massive warship used to invade live player matches.